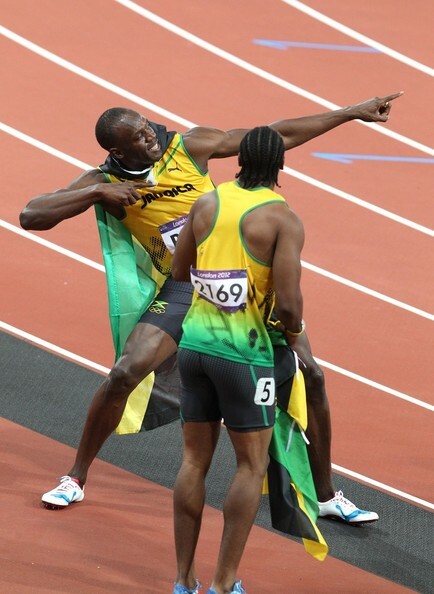 Usain Bolt of Jamaica wins the gold medal in the 100m during the London 2012 Summer Olympics. Bolt beat Yohan Blake of Jamaica, who won silver medal, Justin Gatlin of USA, bronze medal, Tyson Gay and Ryan Bailey of USA. The Duke and Duchess of Cambridge cheered on from the crowd with Prince Harry before Bolt was interviewed by reporters from around the world.